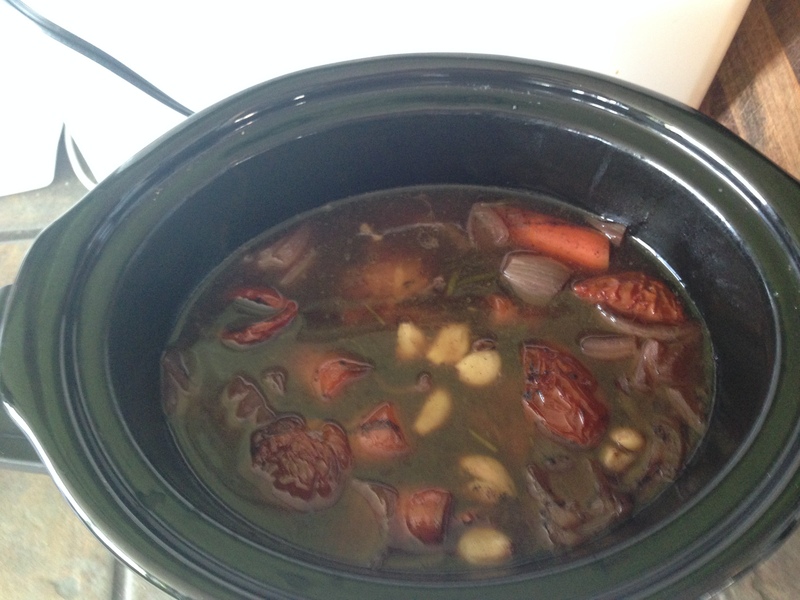 I have adapted many recipes that I found online to make this recipe. I usually cook without exact measurements so I will try my best so you can replicate. 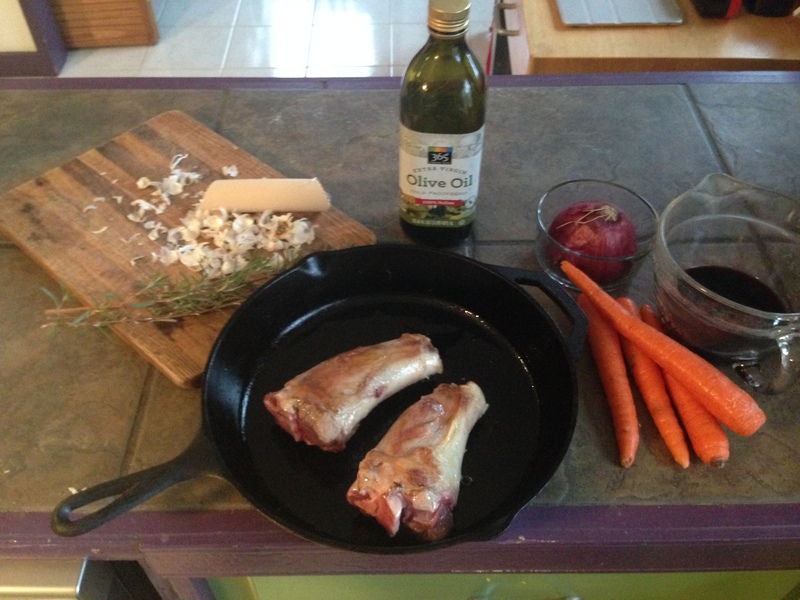 First braise the shanks in a cast iron pan with olive oil on high until they are golden in color. Cut Carrots and onion into large pieces. Peel whole garlic cloves. 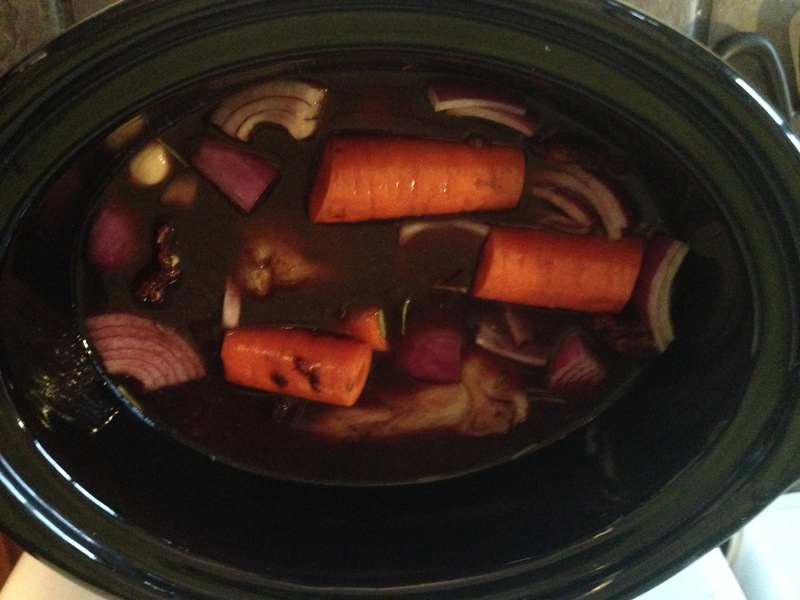 Place lamb, veggies, garlic, rosemary into the crock-pot and cover with beef stock and red wine. Make sure the liquid covers the lamb. Cook on high for 1 hour. Then cook on low for 9 hours. It will come out so tender that you have to be careful when you take it out or else it will just fall off the bone. 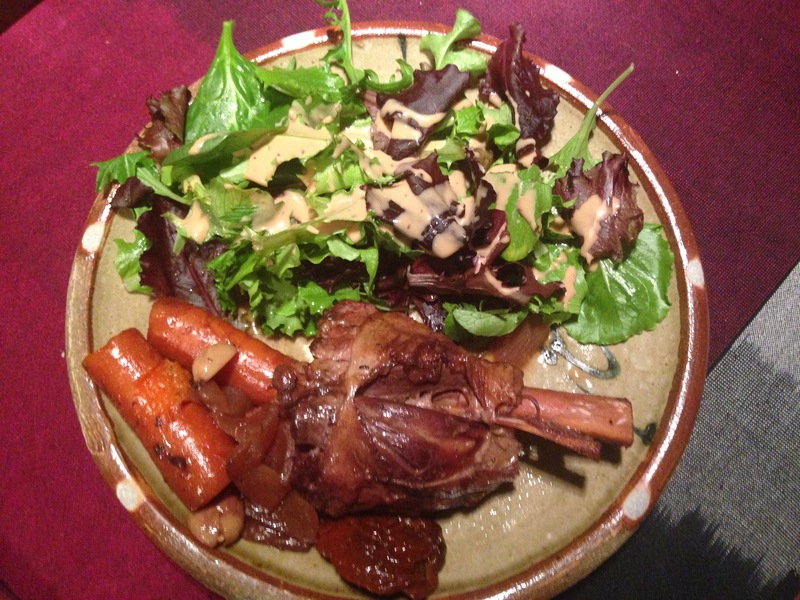 I served the shanks with a big salad with Balsamic dressing and some garlic bread. Make sure to take some of the leftover liquid in the pot to use for dipping bread. Horseradish is a nice touch too on the lamb. There will be a lot of delicious juices left over. I made lentil soup with my left over broth. Just add some more carrots, celery, any other herbs, lentils, and water. Then cook over night on low.